My son making his first seedbed. / Seedbed of Aji. 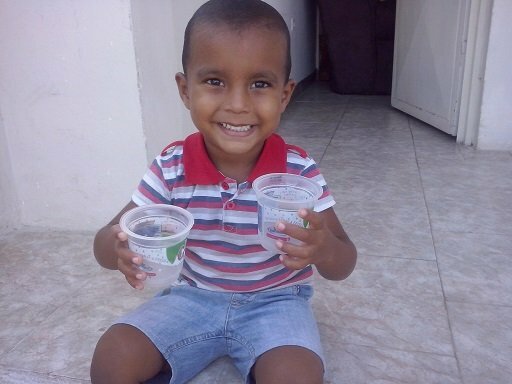 When we help our children to plant a tree, we instill a series of values ​​and principles such as love, respect, dedication, responsibility, ecological and social conscience that will help them make the planet a better place to live. It is very important that our children know the great value of nature,love it, take care of it, respect it, get close to it, feel it and enjoy it. 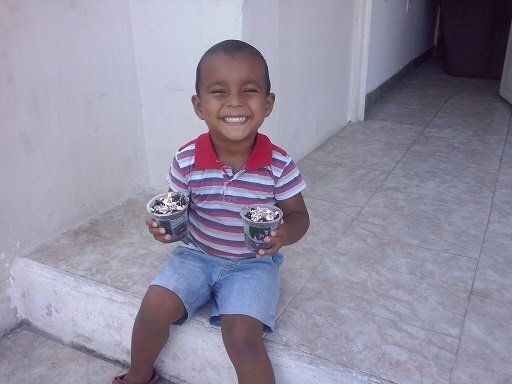 At the moment our children make a small hole in the ground, they place the seed, manipulate the earth, water the plants and see how the trees they planted grow, fill them with great enthusiasm and teach them a lesson of respect and love to our natural legacy. Trees live for a long time. The trunk of a tree is a very hard and wooden stem. The water and food that a tree requires, goes up the trunk under the bark and goes up to the crown where the branches and leaves are. The tree has very thin roots, which absorb water and also large roots which are responsible for holding firmly to the ground. A ranger is a person who works and takes care of a forest. Why we should plant trees. It contributes to regulate the rains. All people must plant trees because it is the best maneuver and method to reduce CO2 (carbon dioxide) from the environment. If we all know these multiple benefits, we will reduce their destruction and encourage their conservation for future generations. Without a doubt, trees are very important for the environment and society in general. 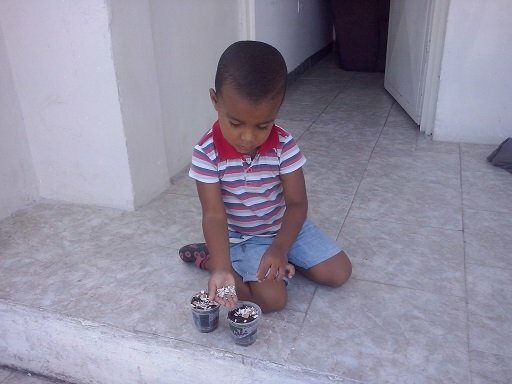 To contribute to the environment, I decided to help my child plant some aji seeds. 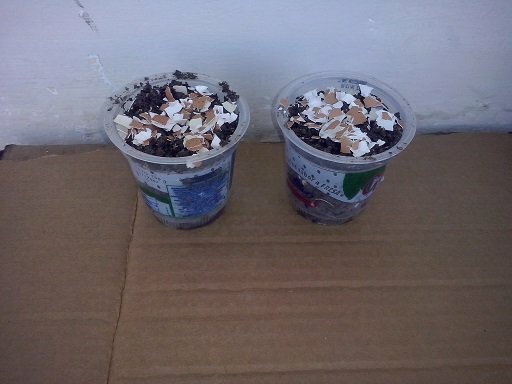 Step 1: We make holes in the containers so they can have good drainage. 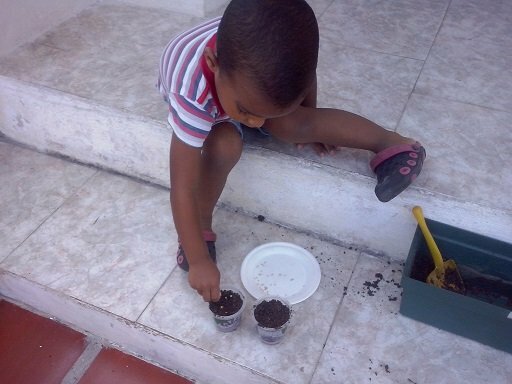 Step 2: We fill the containers with the earth. 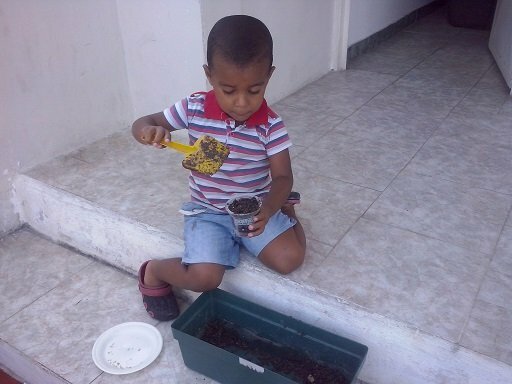 Step 3:We make a small hole (it can not be deep) and place the seeds. Step 4: Cover with the same land. Step 7: We place the containers in a cool place. 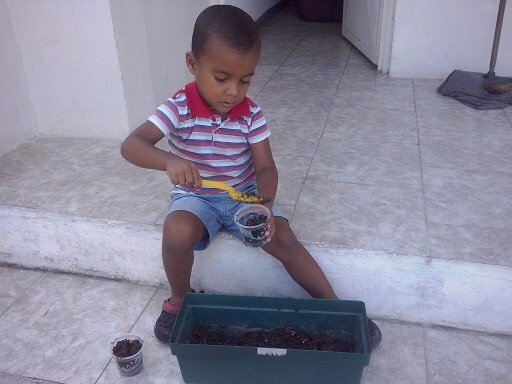 It was a very fun activity, my boy was super excited sowing his seeds. All trees deserve to be cared for, respected and valued, since they are vital for nature and its relationship with living beings to jointly form an ecologically balanced world. 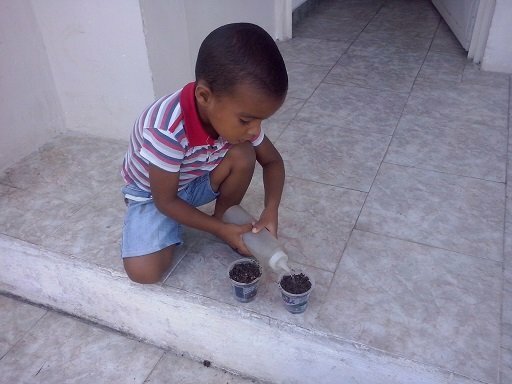 We @farms are proud of you @sabrip teaching your kids the benefits of agriculture and homestead at a tender age is very good and we @farms encourage sure act. 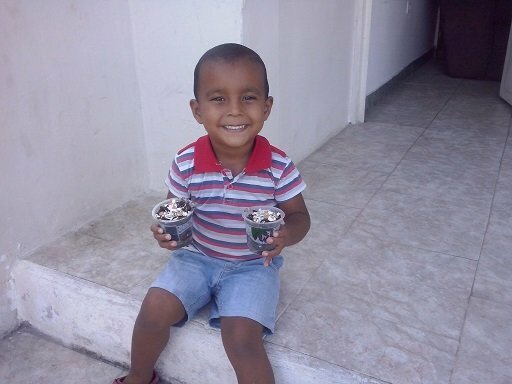 It is important to prepare children in the culture of caring for and planting more trees, they are the future of our generations that will have the challenge of maintaining many ecosystems. Besides, agriculture is where almost all the food we know today comes from.